Over the next few weeks we are going to have look into Artificial Intelligence (AI) and what it means for CRM, and its applications in sales, marketing and customer service. 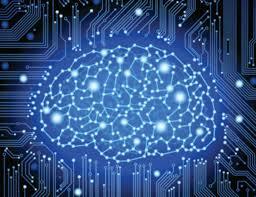 We’ll examine what is already happening and make a few brash forecasts about AI’s future. So, bookmark the page and come back. In this blog, you’ll find some background on AI – where it all started, and how it touches your life right now. And we’ll hint at what is to come. In the next blog, we’ll explore the conditions that underpin the rapidly growing corporate interest in AI. 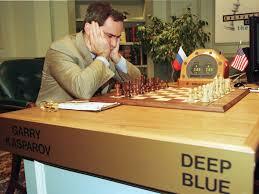 Artificial intelligence is the ability of computers or computer-controlled robots to undertake tasks normally performed by humans. Human intelligence allows us to reason, evaluate, analyse and interpret information, synthesise evidence from various domains of knowledge, make decisions, memorise, predict outcomes and learn from experience. When these tasks are performed by computers or computer-controlled robots, that is AI. Some research from the Meta Group suggests CRM can be a mixed blessing. “Business customers want to be identified for their appropriate requirements (e.g., resupply of goods and services that they already purchase), so that they can save time. Many consumers fall into a similar camp. But in exchange for being identified (e.g., providing information about themselves, or having it collected), customers/consumers expect to be treated as “special.” This means free products, better service, useful information, and so on. They also do not want to be bothered by endless phone calls or e-mails to sell them more ‘stuff.’” As customers surrender data about themselves to suppliers, they expect that information to be used wisely to communicate relevant and timely offers. 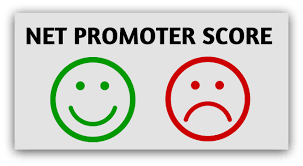 In my previous blog, I described how Net Promoter Score (NPS) works. Businesses like it because it is a simple metric that appears to indicate how well the business is doing in satisfying its customers. Satisfied customers produce positive word-of-mouth. Let’s quickly recap how NPS is computed. NPS is computed from the responses of customers to one question: “How likely are you to recommend (company or brand X) to a colleague or friend?” Answers are recorded on an 11-point scale where participants are clustered as follows: 0-6 = Detractors; 7-8 = Passives; and 9-10 = Promoters. NPS is computed by subtracting the percentage of Detractors from the percentage of Promoters. If 30% are Detractors and 50% are Promoters, NPS is +20. 1. The scale is unfit for use. NPS uses an 11-point scale. All points on the scale, with the exception of 0, are positive. Zero means there is no chance of recommending the company or brand. Point 1 on the scale, therefore, must logically mean there is a small positive chance of recommending. Higher scores mean higher probability of recommending. There are no negative points on the scale to suggest that customers are likely to give negative word-of-mouth. A preferred scale would range from, say -5 to +5 where the minus score means that the customer is likely to give negative word-of-mouth and positive scores reflect positive WOM intentions. In this bl og, I explain how Net Promoter Score (NPS®) works. In my next blog I will outline some of the criticisms that are levelled at NPS. NPS is a simple, single, metric that many companies use to measure customer perceptions of their business’s performance. It based on the assumption that satisfied customers will spread good news about their experiences whilst dissatisfied customers spread bad news. Promoters (score 9-10) are loyal customers who will keep buying and refer others, fuelling company growth. Detractors (score 0-6) are unhappy customers who are at risk of switching, can damage a brand’s reputation and impede growth through negative word-of-mouth. 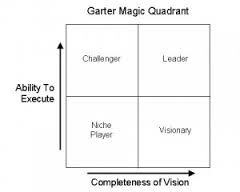 So, let’s review Gartner Magic Quadrant criticism. What are some of the concerns that have been raised about the GMQ? 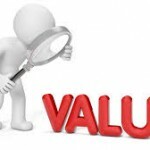 Many of the criteria that Gartner uses to assess vendors are of little importance to technology buyers. The following criteria would be of more interest to investors than buyers: a clearly differentiated marketing strategy; a well-defined sales strategy; a valid business model; a distinct geographic market strategy; and successful marketing execution. If you wanted to invest in tech firms, this info could be quite important. 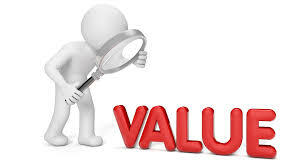 But for technology buyers and users, there is little value in them. Sarah Cook’s objective is to “provide practical advice, tools and techniques for managers to effectively manage complaints in their organization.” She largely succeeds in achieving her goal over the book’s 11 well-crafted chapters and 200 pages. It’ll have taken Sarah much longer to write, but you’ll find it an easy, well-structured and stimulating read about complaint management that you can get through in an evening. It’s liberally illustrated with examples, mostly from the UK and USA, and tips and checklists that readers can apply immediately in ther quest for excellent complaint management processes and outcomes.